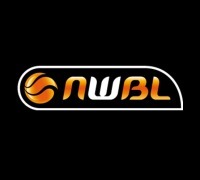 After a dominant 2017 season, the Wollongong Rollerhawks came into 2018 NWBL finals series in the bottom two, of the ladder. However, they fought their way through the playoffs to claim back-to-back Championships winning the 2018 NWBL title. A tight contest in the gold medal game saw them prevail over a determined Queensland squad to win 72-65, despite starting the fourth quarter with tied scores. Michael Auprince hit the first shot giving the Rollerhawks a lead that extended through to the end of the game. An outstanding offensive performance from Tom O’Neill-Thorne of 38 points was matched by Brett Stibners who had 32 points, all inside the arc while they both tied at 7 assists each. 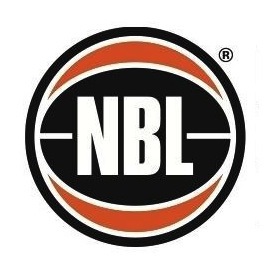 The Rollerhawks has 38 points in the paint compared to 18 from the Bullets, exemplifying their superior ball movement as Brett Stibners (32 points, eight rebounds and seven assists), Luke Pople (nine points, seven rebounds, seven assists) Nick Taylor (10 points, eight rebounds and seven assists) and Michael Auprince (12 points and eleven rebound) all starred. They tallied 23 assists on 30 field goals, helping them to shoot 53% from the field. Advancing to the gold medal game with a one win, Queensland had begun their weekend with a Semi-Final win over the Kisyth Cobras on Friday night. Despite leading for the entire game, the Queensland needed a big last quarter to finally put away the Kisyth Cobras as a 18 point fourth term led them to victory. Bill Latham and Tom O’Neill Thorne combined for 59 points, while Bill dominated the rebound count with 17 of the total 35 rebound for the team. Wollongong were just as impressive in their first win over Red Dust Heelers in another tight contest securing a three-point win, advancing them to the preliminary final against the Cobras. The Cobras could not contain Wollongong’s firepower and made only 25 of 60 field goals themselves but their weekend went from bad to worse when they fell to the Red Dust the following day in the Bronze medal game – which proved yo be a much closer game, where they started the fourth period trailing only by 5 points. Half way through the final period Red Dust extended their lead to 10 points and finished the game with a 13-point win to claim the bronze medal in the 2018 NWBL Championship. Brad Ness led the way with and incredible 37 points and 7 rebounds, Josh Turek added 29 points and 16 rebounds and Rob Pike had 15 points off the bench. Shaun Groenewegen was unstoppable over the weekend with 23 points on Friday, and 19 points each on Saturday and Sunday. Tristan Knowles was equally outstanding with 18 points each on Friday and Saturday night and a massive 33 points in the bronze medal game. Unfortunately, their combined efforts were not enough to get Kilsyth a spot on the podium this year. Find all the stats from the 2018 playoffs here. Stay tuned tomorrow for a list of all the award winners from the season.